For a touch of modern sophistication, the panel blinds at Blinds Dubai offers a contemporary take on traditional Window Fashions. 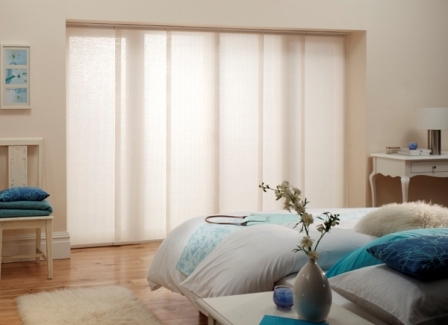 Featuring sleek lines and minimalist design, our wide variety of blinds evoke as an understated elegance in any home. 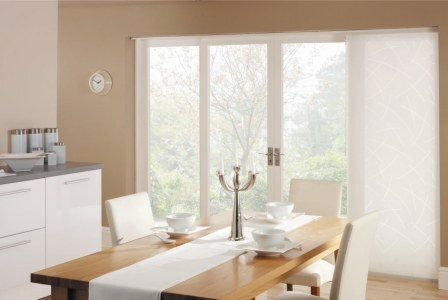 It is very easy to operate our panel blinds in Abu Dhabi. 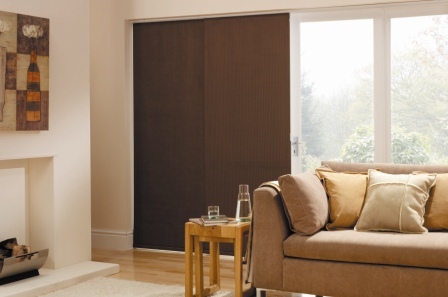 All of our panel blind designs are very new and tasteful, and we do cater for different tastes. Have a quick look at our wide range of panel blinds in Dubai if you are after a bit of fun, or elegant design if you want something more interesting. The choice is only yours to make. Our sliding panel curtains in Abu Dhabi offer a new way to express your room design creativity. 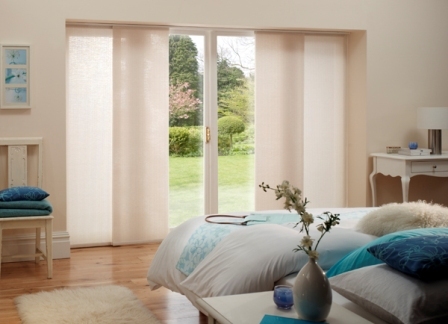 Available in a wide range of natural woods, our Dubai curtains and blinds add character and substance to any porch/room. These shades can also do wonders when it comes to improving the look of any outside area. 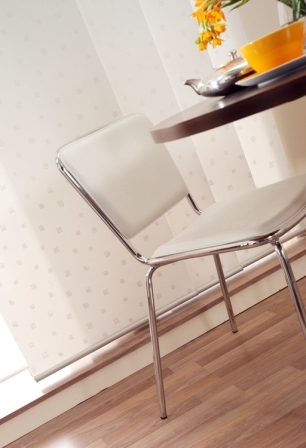 Our panel GCC blinds are a versatile and modern window treatment. Panel blinds, considered as one of the best interiors in Dubai, come in a wide array of fabrics, with varied styles suitable for every home. At Blinds Dubai, you can choose your desired product from a number of exciting options to mix and match the fabrics to create a unique decor feature. 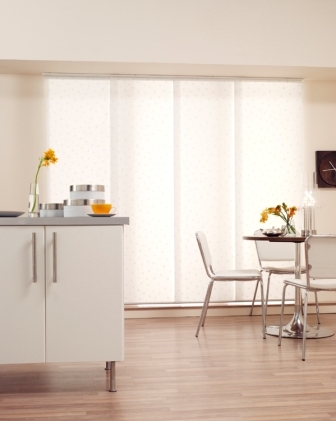 Panel blinds and curtains in the U.A.E and GCC are great in contemporary window décor design. In both homes and offices a panel blind is the perfect option for shading and privacy. in fact, sleek and functional, our curtains in GCC are the ideal solution for many large windows and patio doors and can also be used as a stylish room divider. If your storage space is at a premium, you can choose panel blinds and curtains to improve the beauty of your room this season. These blinds act as fabric doors to cover wardrobes or sets of shelves, as well as can also redefine spaces in a room by acting as temporary beautiful dividing walls. Meeting well to your sofa upholstery, these products are used to cover windows. It depends on you which one you choose between fabrics that block out the sun and those that let in sufficient light to brighten a room.